These Boots Were Made for Hopping Pale Ale Tapping - Zipline Brewing Co. The ladies from your local breweries got together on International Women’s Day to brew “These Boots Were Made for Hopping” Pale Ale in conjunction with Pink Boots Society Collaboration Brew Day. 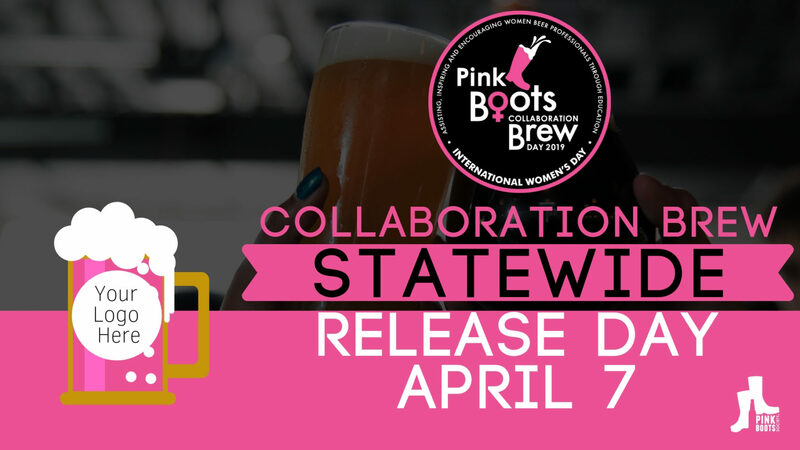 Pink Boots Society: Nebraska Chapter asks you to raise a glass in support of Women throughout the craft brewing industry. $1 of every pint sold will be donated to the Pink Boots Society to fund scholarships and other educational initiatives. Find this limited small batch release at all three of our retail taprooms; Zipline Brewing Co. Brewery Taproom, Zipline Brewing Co. Beer Hall, and Zipline Brewing Co. Omaha Taproom beginning April 7th.